When I first heard her voice, it evoked an image of an Elven queen wandering through the forests of Middle Earth, her song echoing between the trees. Though Peia Luzzi is not a mythical character from a Tolkien tale, her music feels otherworldly as she wields a voice that is both powerful and delicate. Based in the hills outside of Ashland, Oregon, Peia is a soft-spoken songstress with swathes of caramel curls that spill over her shoulders. She is gentle and sweet, wrapping herself in earth tones that accentuate her natural beauty. Her wide vocal range resonates with a piercing clarity that can soothe and awaken, like feeling the sunshine after weeks of rain. "One of my earliest memories is of sitting in my car seat, waiting for my mom and singing in my own made-up language," Peia recalls. "I was a late talker but an early singer." Born and raised in rural Connecticut, she studied singing at the New England Conservatory in Boston where she quickly realized that she did not fit into the classical Western tradition that many of her instructors encouraged her to pursue. While her skill for opera was there, her passion was not and she began exploring alternative vocal outlets. 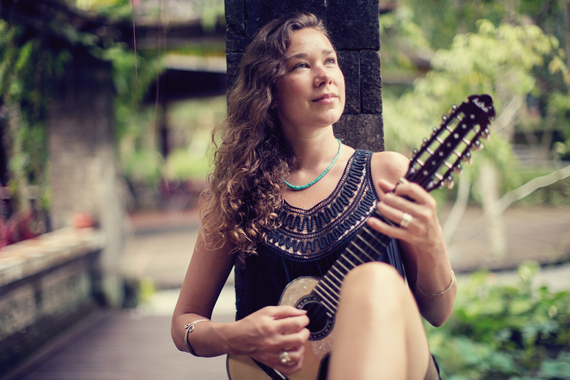 Peia ventured out west in 2007 finding a home in Oregon where she plunged into a world of discovery through travel, slowly harnessing the power of her instrument. "It's been a long and slow process learning how to use my voice," she explains, "finding my way to traditional folk music and songwriting." "I've been deeply inspired by the many musicians across the ages who have used their artistic platform to give voice to the people," Peia reflects. "It's an incredibly delicate and blessed gift to be able to weave history with the living voice of our times." With the release of her sophomore album Four Great Winds in 2012, Peia was whisked away into the exciting and ever-changing world of a touring musician. She traveled across Europe, Australia and the U.S., finally coming up for air three years later to recharge and begin work on her latest album, Beauty Thunders. "There is no such thing as a typical day for a touring musician, each day on the road brings something new -- new people, new surroundings and new experiences; the only thing constant is the motion," Peia describes. "However, when I am home, I do my best to find a rhythm and nourish my internal well." Beauty Thunders, which was released in November of 2016, was successfully crowd-funded which has allowed her to preserve the freedom that comes with being an independent artist. Through her travels to many lands and her interactions with many cultures, she has gathered their songs as well as her own into a cohesive album that celebrates ancient traditions as well as her own creative expressions. The organic sounds of birds twinkle with the steady drone of a harmonium, pulling you into the album like a tractor beam. Peia's voice soars like the wind as she sings a love letter to our Earth and an ode to humanity. "I find melodies in the trickling of water and the babble of the birds above me," says Peia, "and I find that songs come when they want and elude me when they wish, but always they require stillness and deep listening."